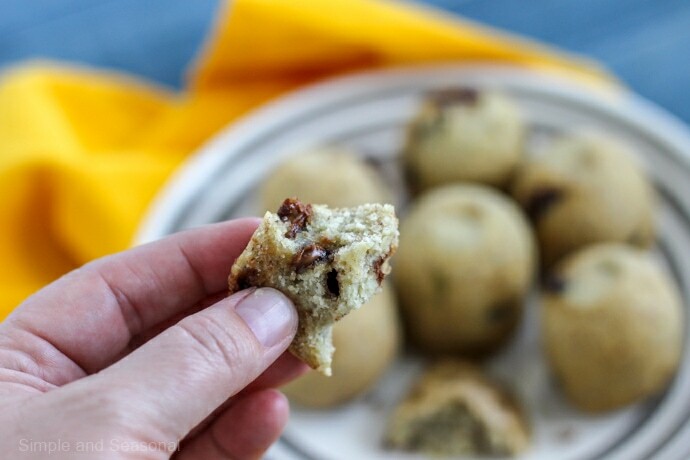 Crockpot Express Banana Bread Bites are a perfect “on the go” breakfast made right in the pressure cooker! The other day I was making banana bread the old fashioned way (you know, in the actual oven) 😉 but I had one overripe banana left. Don’t you hate that? We either have NO bananas, green bananas, or a few lonely, overripe and neglected bananas. 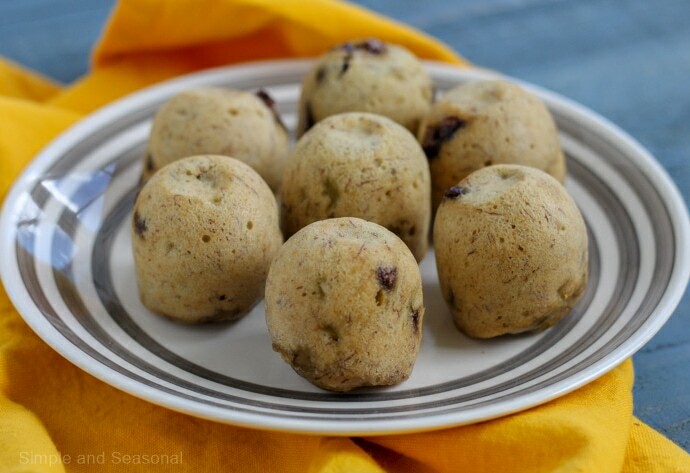 Since I recently purchased a silicone egg bites mold, I figured I would try my luck at Crockpot Express Banana Bread Bites! I started with my recipe for Crockpot Express Banana Bread and then cut it down to fit the smaller size of the egg bites mold. 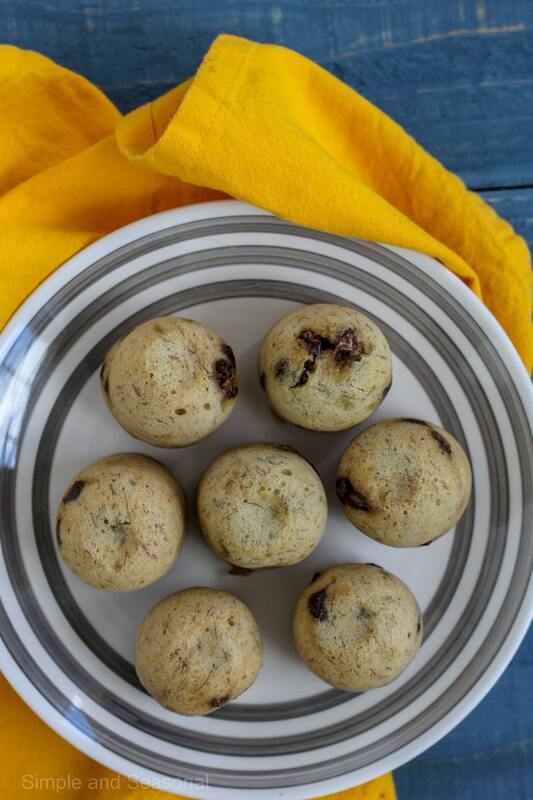 It was the perfect way to use up that last banana and make a little muffin-sized treat for breakfast. Honestly, I still prefer banana bread (and most baked goods) made in the oven. The light texture and crunchy crust is only possible in the dry heat of the oven. However, this is such a quick way to make up a few treats and it doesn’t heat up the whole house, which is a huge bonus as the weather gets warmer! The texture for these bites was dense and a little chewy, but not unpleasantly so. My kids gobbled them up! They kept saying they tasted like chocolate chip cookies. I’m fairly certain that’s due to the fact that I added chocolate chips into the batter. 😉 Try freezing them to enjoy all week for breakfast! 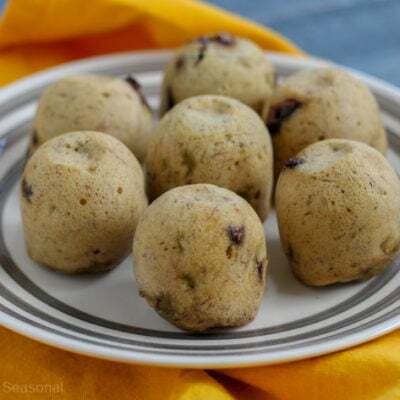 Crockpot Express Banana Bread Bites are a perfect "on the go" breakfast made right in the pressure cooker! Spray the bottom of a silicone egg bites mold with cooking spray. Set aside. Spoon batter into prepared pan. Lightly cover the pan with a paper towel and then cover with foil. Make sure the steam release valve is closed. Press Beans/Chili (defaults to 20 on High) and then Start. Once pressure has released naturally for 5 minutes, release any remaining pressure and remove from the pot. Remove the aluminum foil cover and turn the mold over to remove the bites. 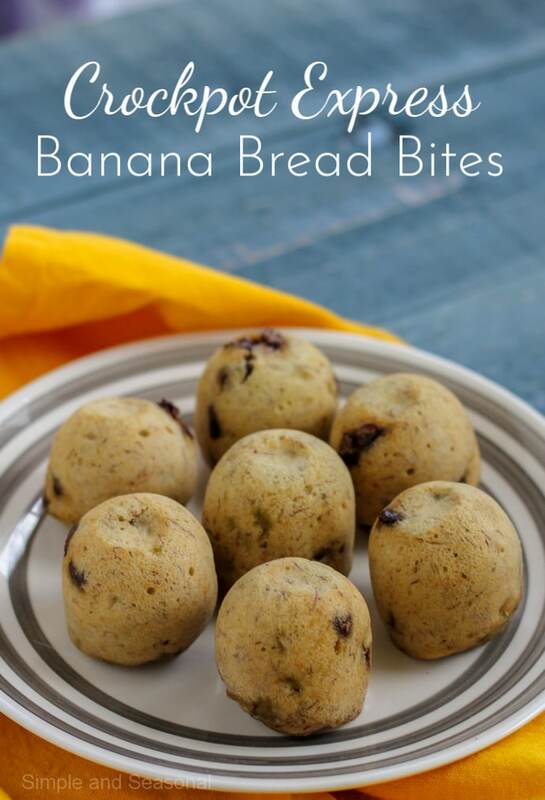 One of these banana bread bites and some Crockpot Express Yogurt would make for a great breakfast! I had no bananas, but I did have a can of pumpkin so I subbed that for the banana. Definitely dense and chewy, but very tasty! Thanks for the recipe, Nicole.